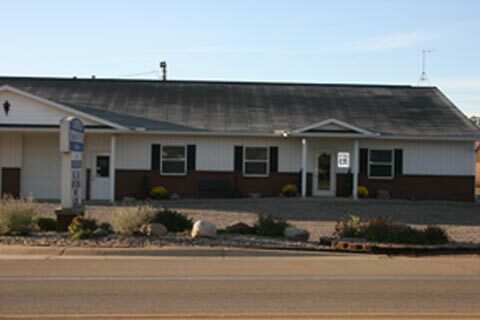 Welcome to Countryside Veterinary Service, P.C. If you’re looking for a veterinary clinic that provides comprehensive veterinary services for household pets and farm animals, come visit us at Countryside Veterinary Service, P.C. of Cement City, MI. Since 1970, we’ve been the choice for so many pet owners and farmers in Michigan and parts of Ohio and Indiana. Your pet's health and well being is very important to us and we will take every step to give your pet the best possible care. Countryside Veterinary Service, P.C. is a full service veterinary hospital. 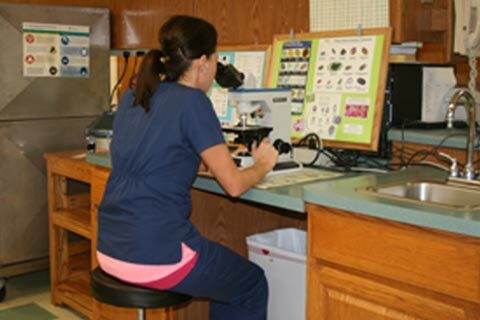 Here to serve you in our small animal hospital are Dr. Maria Lane and Dr. Leslie Wintz. In our farm animal department, Dr. Greg Crosley, Dr. Judd Videto, Dr. Jon Skinner, Dr. Matt Davis, Dr. Christine Kostesich, Dr. Kayla Sweeney, Dr. Denise Heath and Dr. Kaitlin Quinter are here to provide service on your farm. We have a number of resources for you to learn about how to take better care of your pets. Browse around and look at our articles and pet videos. The best veterinary care for animals is ongoing nutrition and problem prevention. Our office is very easy to get to, and you can find directions on our Contact Us page. You can also subscribe to our newsletter which is created especially for pet owners. In between your veterinary visits, your pet will benefit from you reading these free informative articles. At Countryside Veterinary Service, P.C., we treat your pets like the valued family members they are. Dr. Crosley is one of the founding partners of Countryside Veterinary Service. He joined the practice in 1981 and became a partner in 1982. Dr. Crosley has developed skills in ultrasonography (since 1997), surgery, sick and lame cow diagnosis and treatment. He has studied Spanish since 2000 and has been teaching Hispanic herdsman classes since 2005. He also augmented his skills by taking all three University of Minnesota classes in DC305 as well as gaining proficiency in Excel spreadsheets. Dr. Crosley also has experience in equine reproduction, dentistry, colic and interest in lameness and nutrition in horses. Dr. Videto joined Countryside Veterinary Service in 2001 and became a partner in 2002. He has a keen interest in calf and heifer raising and is an expert in overseas export of bovine animals. Dr. Videto also has an interest in goats and sheep and has gained considerable experience learning to manage, diagnose and treat these species. Dr. Skinner joined Countryside Veterinary Service in 2005 after 9 years of practice in the Chino Valley of California. He became a partner in 2009. Dr. Skinner has developed a great interest in Dairy management and participates regularly in Dairy management meetings. Dr. Lane joined Countryside in 2015. 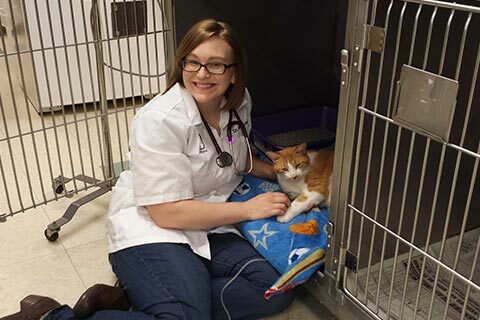 After graduating from veterinary school Dr. Lane worked in a small animal general medicine practice and also a 24- hour emergency clinic where her focus was on emergency and critical care medicine and surgery. Dr. Lane's interests include small animal general medicine, surgery, emergency medicine and exotic animal medicine. Dr. Wintz joined Countryside in 2015. Dr. Wintz spent 2 years at a busy multi-doctor veterinary hospital where she developed a special interest in internal medicine. Dr. Wintz enjoys helping owners treat pets with chronic issues like heart, kidney or liver disease, arthritis, or diabetes. ""The staff is great. They did everything in their power to save a critically ill kitten I found. Very kind and talented people."" ""Beautiful and clean! I was so happy with the staff. Pudge was very content with the staff and they were so sweet to him!"" ""You guys are awesome! Very polite, informative and helpful."" ""I am so pleased to have my lab being taken care of by the staff. They are all so friendly and always take the time to explain what is going on and always take the time for any questions I might have."" ""The exam room was outside because my dog refused to enter the building but the staff was very accommodating and helpful."" 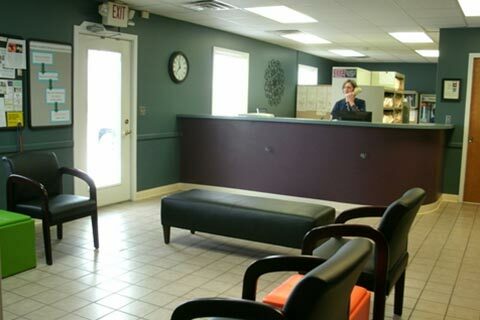 ""The staff was super friendly and I loved how great they and the vet were with my new puppy. All I can say is keep up the wonderful job. I highly recommend you guys to everyone I talk to. They answered all my questions and even made sure I understood."" ""I've been very satisfied with the treatment of all our pets since we started coming here. Keep up the good work."" ""Very friendly staff and clean in the waiting room."" ""All the staff members are very professional and caring. Wonderful experience. Would recommend to family and friends. Keep up the amazing work."" ""This business is the third vet service that I have used and I will stay with them even though there are four that are closer drives."" ""They took great care of my leader dog momma for her ultrasound. Staff was great."" ""I love the staff and the doctors are amazing. Keep doing what you are doing. Dr. Wintz treats our pets as if they were her own and she gives good, honest advice for their care."" ""Very helpful and friendly. We enjoy bringing our fur babies because we know they will be well taken care of."" ""My pet was comfortable and calm during the visit."" ""You guys are awesome. I wouldn't trust my pet with anyone else."" ""I very much appreciate the personal time spent with the dogs during the visits. Very thorough and makes the client feel like family."" ""Amazing office. We will never go anywhere else. I love each and every one at the office. I always feel comfortable coming there. I can truly tell how much they love animals. Keep up the awesome work."" ""Countryside is the absolute best vet office around."" ""We are very pleased. Our vet is awesome."" ""Dr. Lane is amazing as always. She always takes the time needed and shows she cares."" ""The staff is extremely friendly""
""I love you guys, and your caring ways. It's obvious everyone there truly cares about the animals."" "Wonderful experience. Everyone was very friendly, staff was very knowledgeable and clearly love what they do! They treated my Gus as if he was their own. Thank you!"